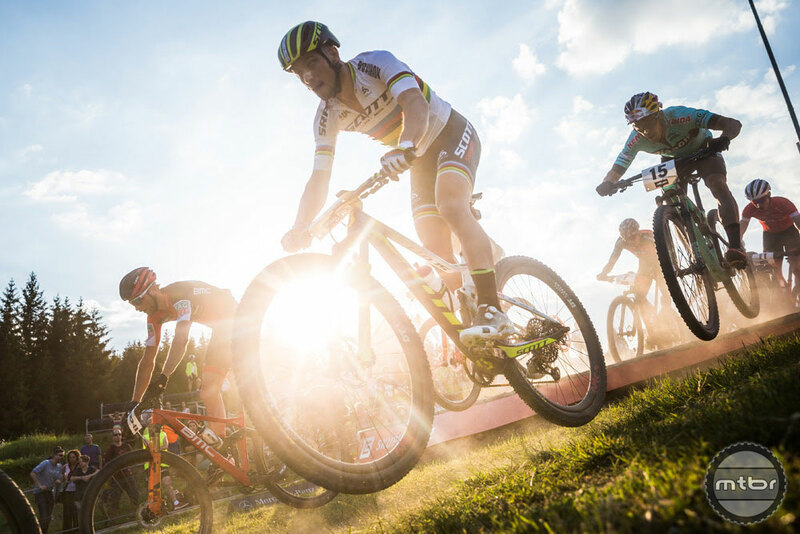 Nino Schurter claimed the 28th World Cup victory of his career this past weekend. In a dramatic race on his favorite XC course in Nove Mesto, the Olympic champion outsprinted Anton Cooper (NZ) and once more proved he’s still the man to beat in XC racing. The frenetic crowd saw a long sprint finish between Cooper and Schurter. A few millimeters made the difference with a better end for Schurter, who, when crossing the line, was not sure if it was enough for the win. Schurter’s major rivals (Mathieu van der Poel, Sam Gaze, and Stephane Tempier) all crashed or faced mechanicals. The 2018 World Cup season continues to be one of the best we have seen. 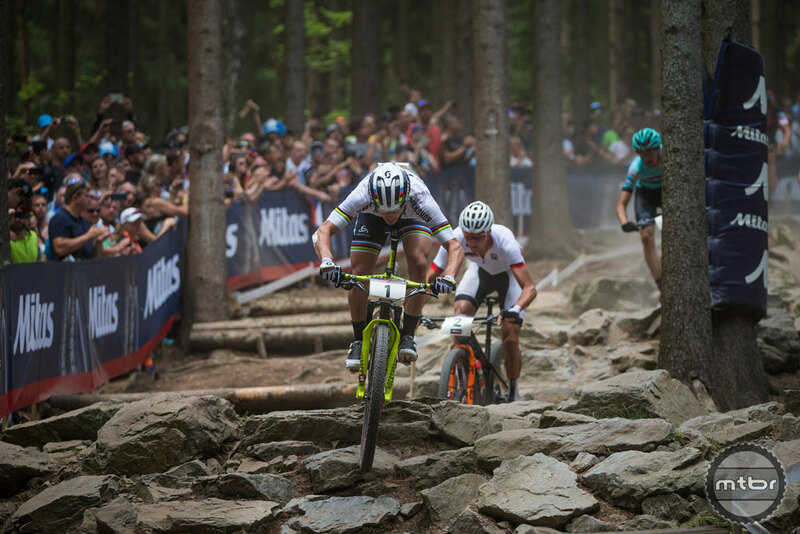 Despite facing tough competition from the beginning, it was Schurter who mostly dictated the rhythm throughout the race. He was the one who dominated the lead of the peloton, from the beginning through the end. 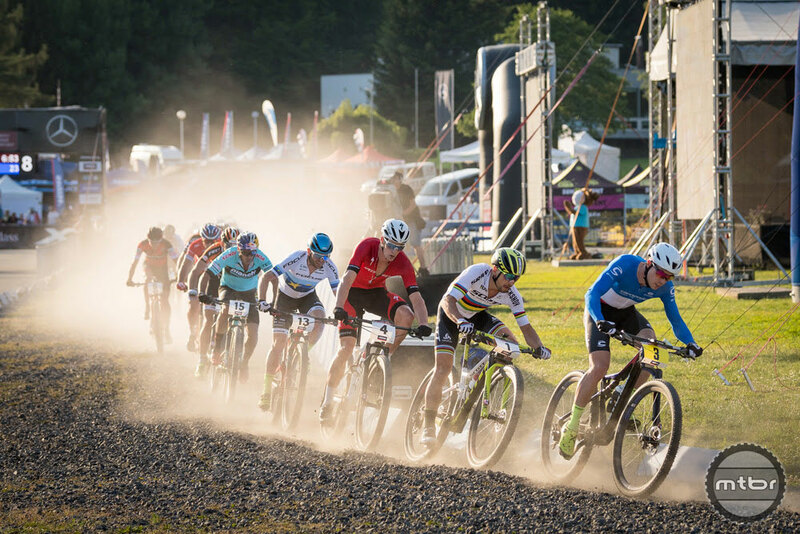 Schurter’s biggest rivals, Stellenbosch winner Sam Gaze, Stephane Tempier, and Mathieu van der Poel, all went out of the race or fell back early on. Gaze crashed and faced a flat. Tempier had a mechanical, too. Van der Poel crashed in the third lap and hurt himself falling on his arm. 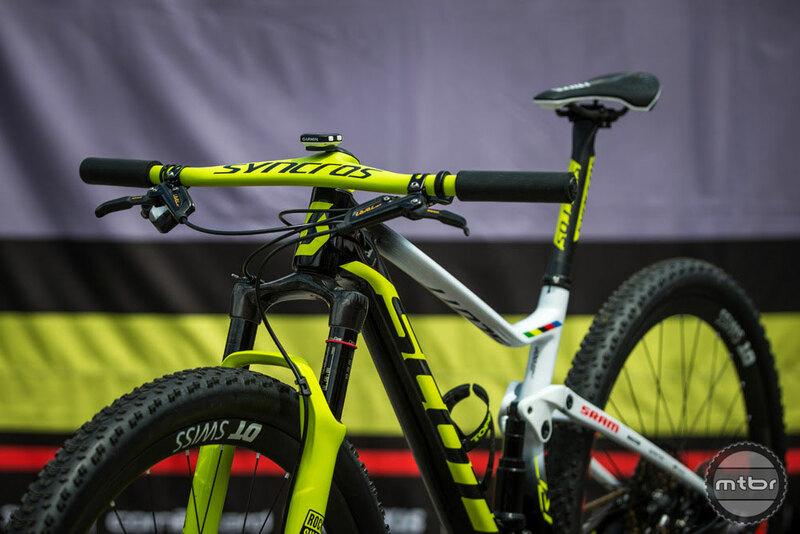 Schurter’s winning Scott Spark 900 RC World Cup with the new Syncros Fraser iC SL cockpit. 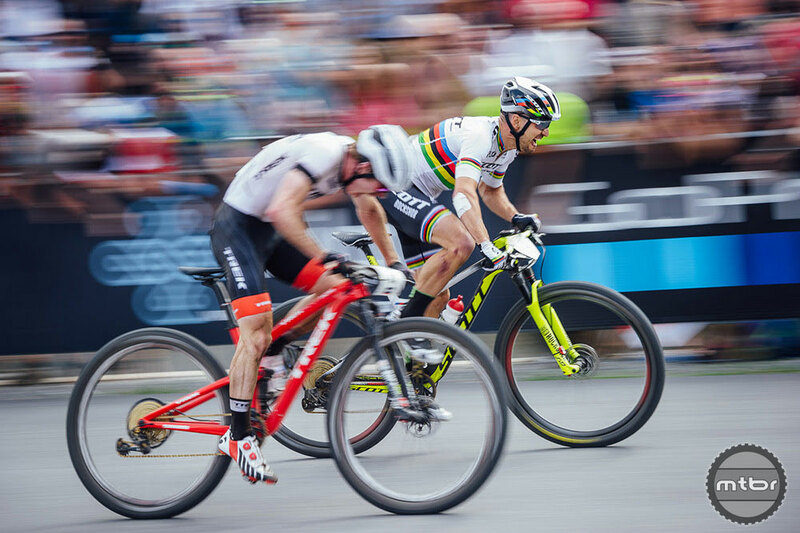 After some of the biggest names were out of the competition for the podium, Schurter faced Lars Forster speeding up the pace. But Schurter stayed calm. With Cooper and Maxime Marotte catching up with the two Swiss men, Forster got dropped after some first attacks by Schurter. Marotte was looking ready for his first ever World Cup win but like so often, the Frenchman couldn’t keep up at the end. It was all about Schurter and Cooper riding towards the long tarmac finish strip with thousands of spectators cheering from the tribune. 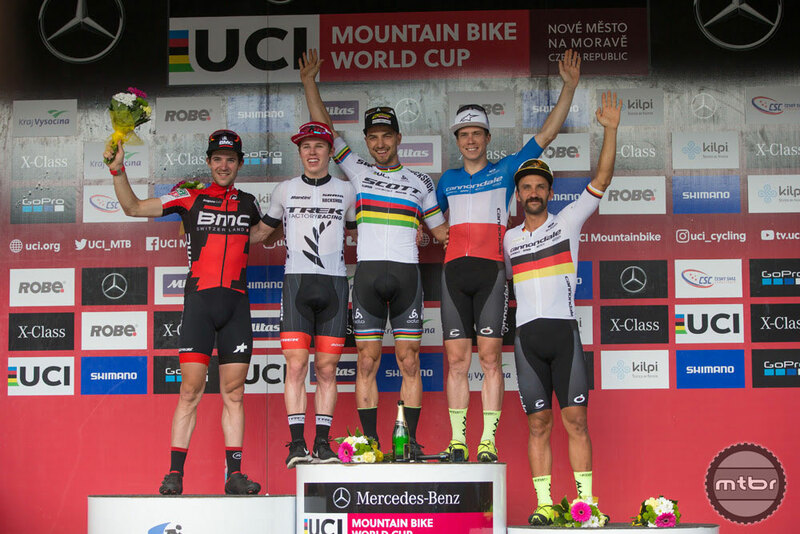 Top 5 of the World Cup in Nove Mesto- Nino Schurter (1st), Anton Cooper (2nd), Maxime Marotte (3rd), Lars Forster (4th), Manuel Fumic (5th). With one second place and two wins so far, Schurter leads the World Cup Overall ranking (780pts) ahead of Marotte (573 pts, FRA) and Van der Poel (535 pts, NEL). Nove Mesto’s course is a very technical one with a lot of short, steep climbs, covered with roots. 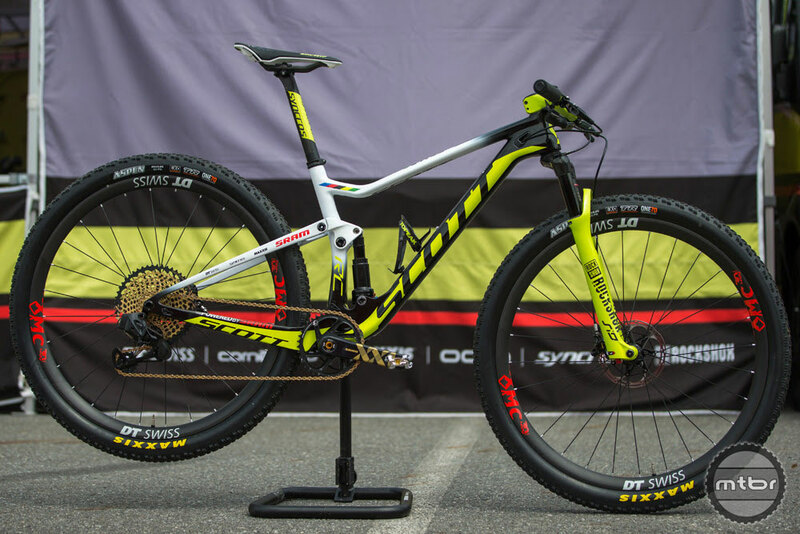 Schurter and the entire team road the Scott Spark 900 RC World Cup. Find more Specs and equipment on the team website. 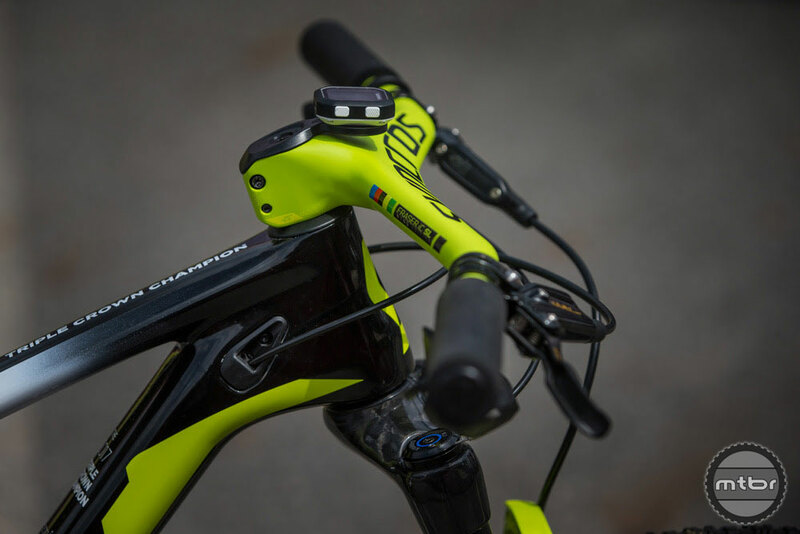 Schurter also rode Syncros’ new Fraser iC SL Special Edition cockpit for the first time. The Fraser iC SL is a light and stiff stem-handlebar combo which weighs only 220g. 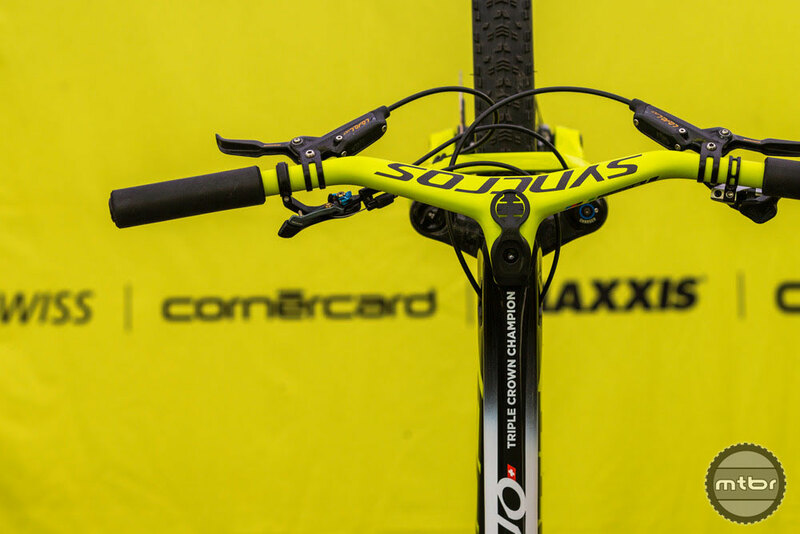 Schurter used to ride with a minus 25 degree stem, 90mm extension and a reversed T-bar. 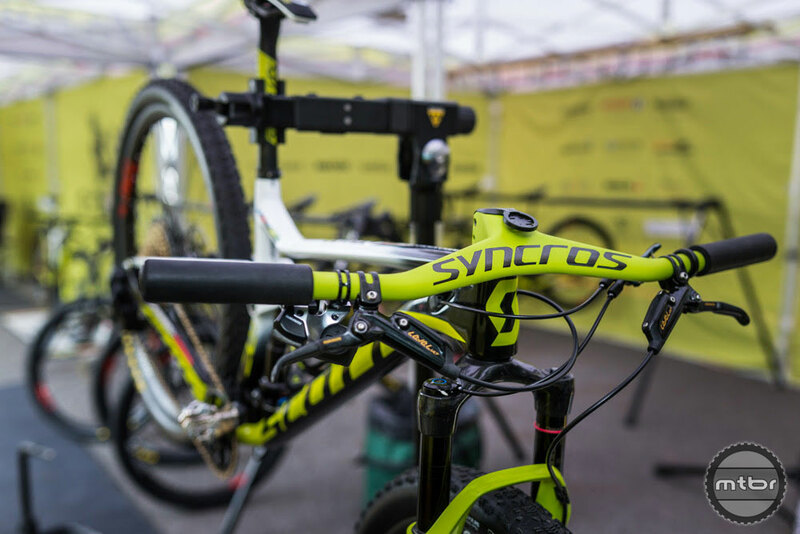 Syncros replicated this position for him with the new cockpit, a one piece carbon bar and stem that saves him 90g over the previous setup. Off and running in the Czech Republic. N1NO’s winning SCOTT Spark 900 RC World Cup with the new Syncros Fraser iC SL cockpit. N1NO’s winning SCOTT Spark 900 RC World Cup with the new Syncros Fraser iC SL cockpit.